If you have just purchased a laptop, you also need a good laptop bag to keep it safe and carry it along with you. If you are not sure what laptop bag to buy, we have rounded up some for you. Here are the best laptop bag packs you can buy. We have covered laptops bags in an affordable price range but have taken care of quality. 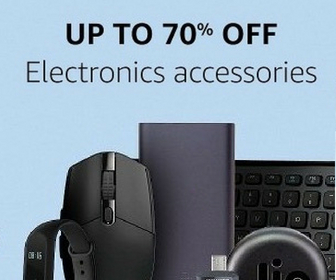 You can go with any of these laptops. 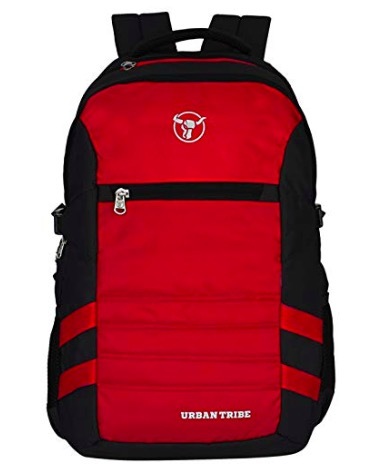 All the backpacks listed here are water resistant. So, these bags will keep your laptop safe if you are exposed to rain. I have also mentioned the warranty of the laptop bags in the description. Check that as well. 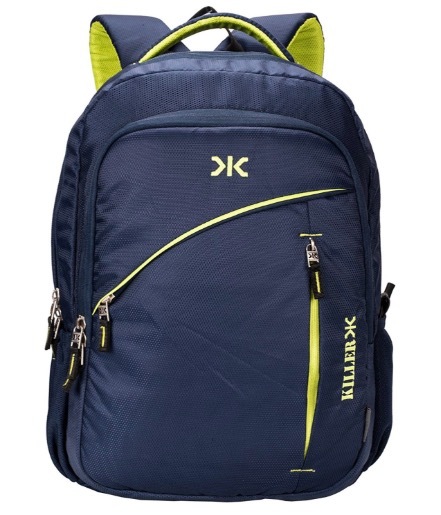 If you need a bag with good space, Kingsons Anti-Theft Backpack is for you. It is a waterproof laptop bag with 50 liters of capacity. It can carry a laptop of up to 17-inch. The laptop also has USB charging, headphone grommet, glasses buckle and a strap behind the backpack. 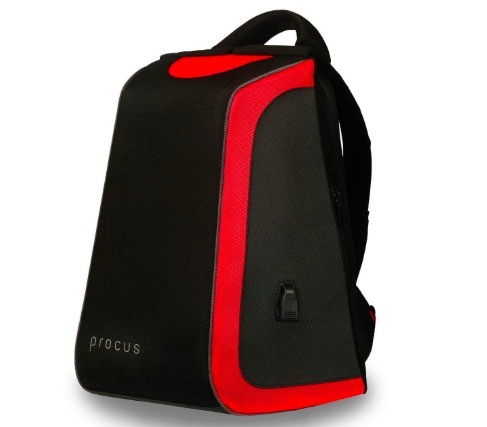 This is a multipurpose laptop bag that can be used for hiking or business meetings. The laptop also comes with two coded locks to ensure your belongings stay safe. 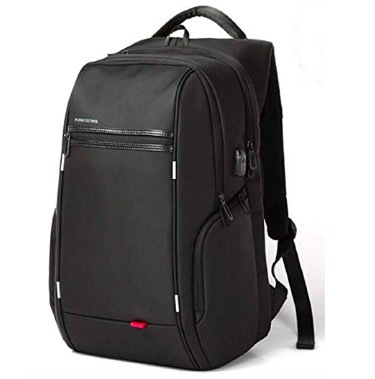 This one is also a good laptop backpack for travelers who also want extra luggage to carry. It has 24 liters of capacity and can carry a laptop of up to 15-inch display size. It has a hidden zipper for the main compartment. There is also a USB charging port with cable. The laptop also comes with Waterproof Rain Cover free. It has 10+ pockets for exact access to your belongings. 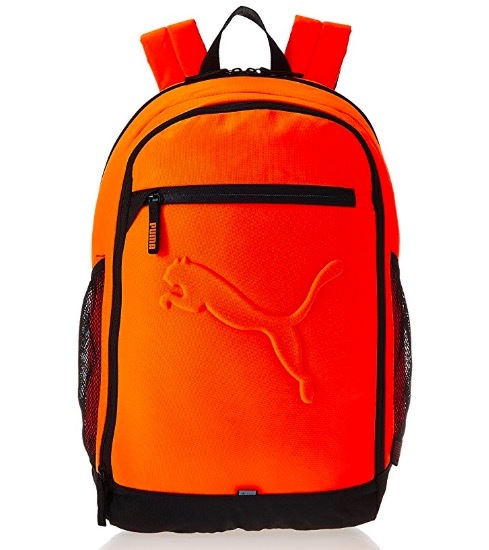 This is the a 26 ltr backpack and comes in multiple colors. I am putting the link to cheapest color option. It is quite big and spacious. It is made of Polyester and is water resistant. So, you do not need to worry about mild rains. There are 3 different compartments. It can accommodate 15.6 inch laptop but there is no strap to hold the laptop in one place. This is trendy bag with big size. 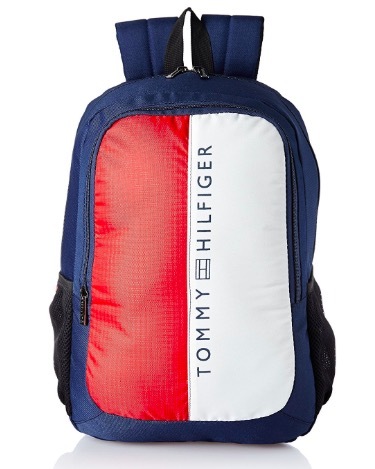 It has 3 Large Compartments inside and one Easy access front pocket. It is made of Durable PU coated Linen Polyester Fabric and is water resistant. You can keep a laptop of upto 15.6 inch screen and few cloths as well for weekend trip. Keep this in mind and buy only if you need this much of size. Otherwise, it will look bulky. 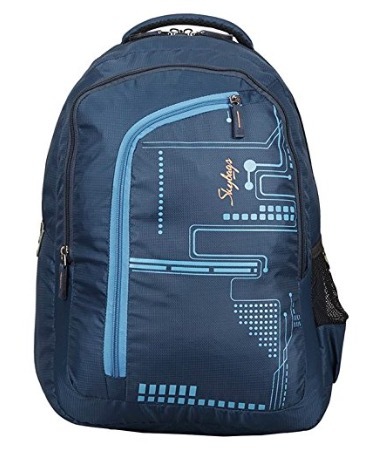 Skybags is also a big laptop that can accommodate lots of things along with the laptop. You can keep laptop of up to 17-inch display. It is made of polyester and is water resistant. It is nice and feels good. As the name confirms, it has 29 liter space inside, so it can keep lots of things. 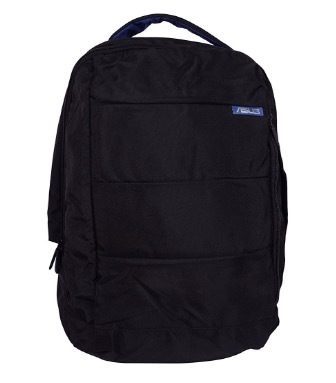 It has 2 large compartments and 2 easy access front pockets along with mesh side pocket. It is made of Durable PU coated Water Resistance Linen Polyester Fabric. You can carry a laptop of upto 15.6 inch screen size. This laptop is also really good and looks nice. It is made of Polyester and is water resistant. It can carry up to 15.6-inch laptop. It also has Water Bottle / Umbrella Pouch, Zip Closure, Back Padding and Chest Strap. This is a fashionable laptop to match your personality. It has 19.53 later space. So, it is ideal for a laptop of up to 14-inch screen size. It has breathable cushioned back and adjustable straps. It is made of wear resistance material and is water resistance. It is not as big and cannot fit much things. You can keep laptop, charger, power bank and few other things. This is the cheapest option in this list. 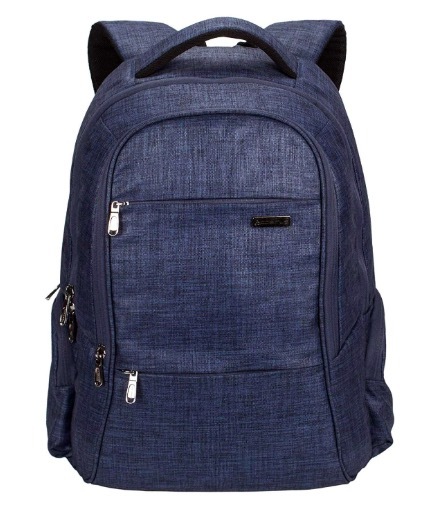 It you do not want to spend much on laptop backpack, this one is for you. 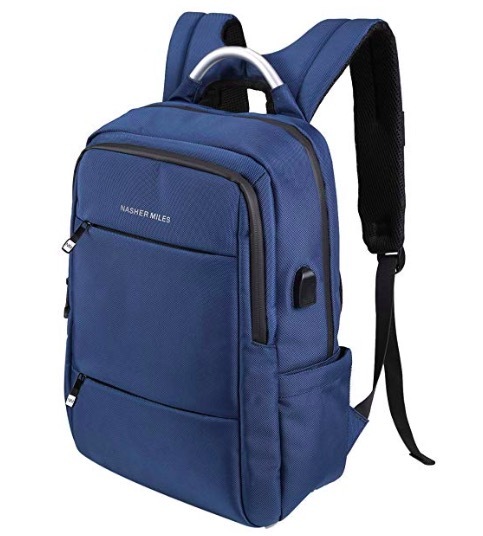 It has just 1 Compartment With Laptop Cradle and 1 pocket for easy access to small things. It is also water resistant. So, your laptop will be safe in the rain. You can carry a laptop of up to 15.6-inch size.